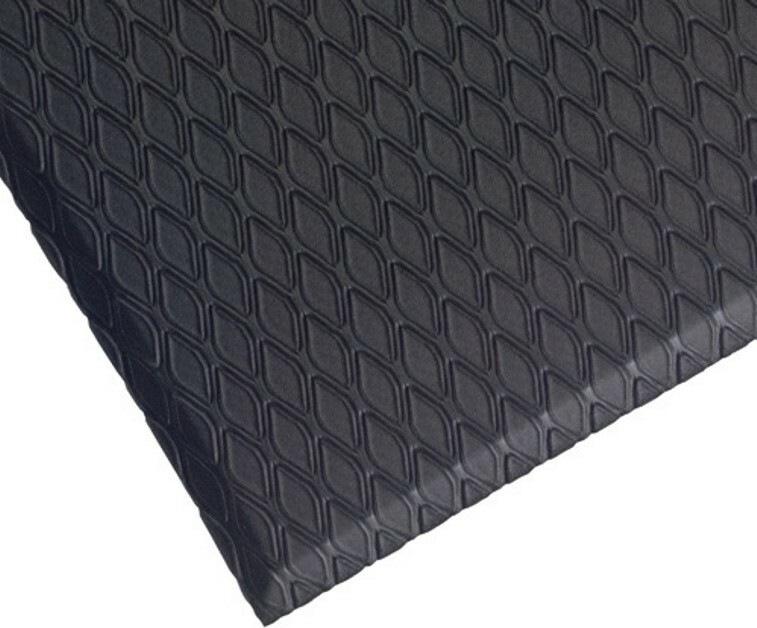 Although Cushion Max mats are similar in cost to PVC foam cushion mats, they offer twice the life. Additionally, they are designed for dry or wet environments, making them ideal for a variety of industrial and commercial kitchen applications. 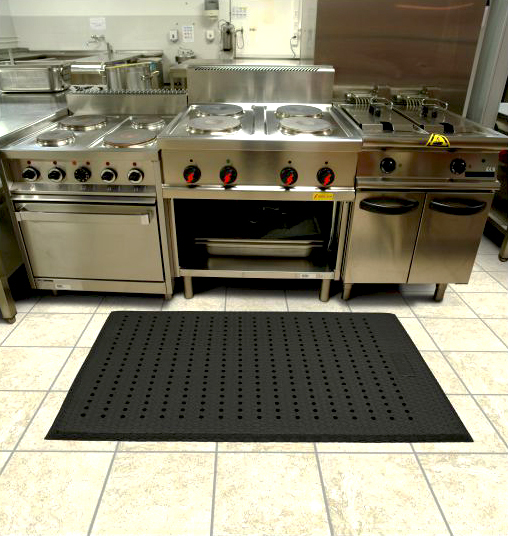 The diamond surface pattern is more durable than the ribbed surface that peels or shaves on other mats. 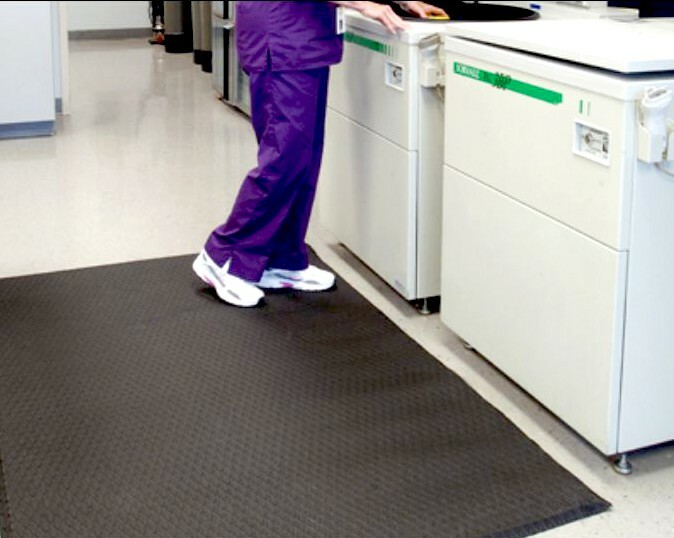 Diamond patterned top surface is certified slip resistant by National Floor Safety Institute. 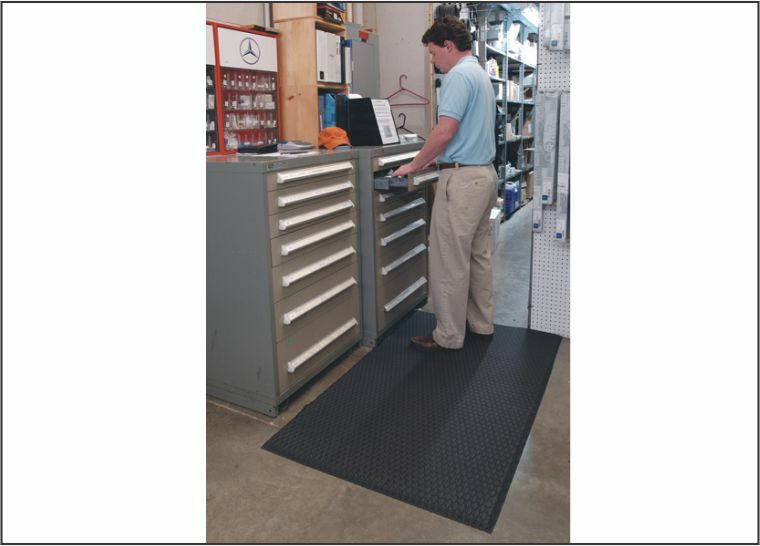 Indoor mats feature a diamond pattern, slip-resistant top surface for dry or wet indoor industrial and commercial applications.